Director Sameer Vidwans and co-writer Irawati Karnik speak about the Marathi-language biopic of 19th-century pioneer Dr Anandi Gopal Joshi. Who was Anandi Gopal Joshi? Many know her as the first Indian woman to have studied medicine in the United States, graduating from the Woman’s Medical College of Pennsylvania in 1886. Little, however, is known about her beyond these few lines. A new film hopes to fill the gaps about Joshi’s singular and historic journey. 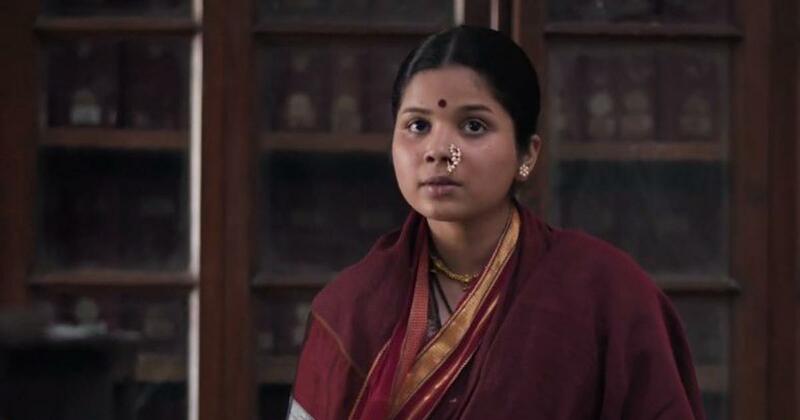 Anandi Gopal, directed by Sameer Vidwans, will be released by Zee Studios on February 15. The Marathi-language biopic stars Bhagyashree Milind as Anandi Gopal and Lalit Prabhakar as her husband, Gopalrao Joshi. Anandi Gopal’s path was in part charted by Gopalrao, to whom she was married at the age of nine. He was 20 years older than her and a fervent proponent of women’s education, and it was his condition that Anandi continue her schooling and learn English. To make sure she studied, Gopalrao would routinely reprimand and beat her, “flinging chairs and books” at her, according to the letters she wrote to him from the US. However, the decision to become a doctor was hers. The interest was sparked when she lost her baby boy shortly after he was born. Her driving force was the desire to address the dearth of female doctors in the country, having learnt during her own pregnancy how difficult it could be for women to allow male physicians to examine them. However, she died before she could set up her practice. Tuberculosis claimed Anandi’s life shortly after her return to India in 1887. She was 21. “However, her ambition and short-lived success would help blaze a new trail for future generations of Indian lady doctors,” the Smithsonian website noted. Following her achievement, “many medically-minded Indian women would follow in her footsteps”. 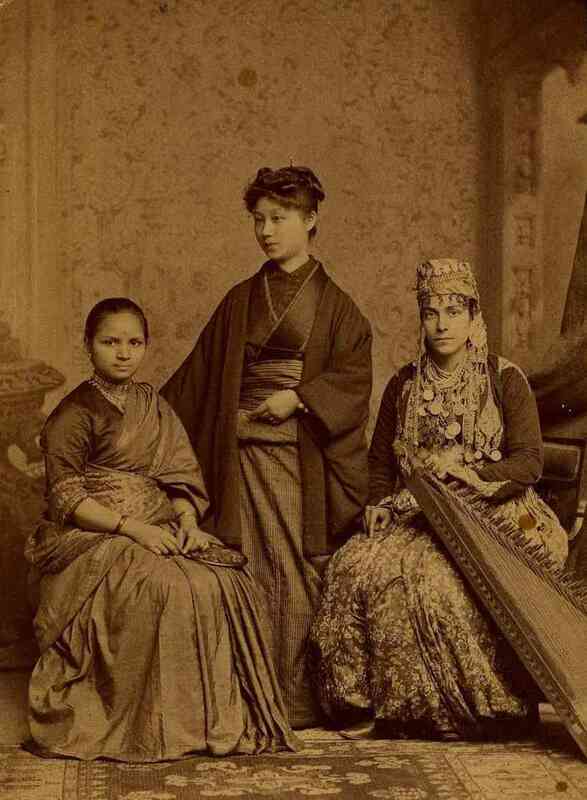 (L-R) Anandi Joshi, Kei Okami from Japan and Tabat M Islambooly from Ottoman Syria at the Woman's Medical College of Pennsylvania. All three were the first women from their respective countries to obtain a degree in Western medicine. Courtesy Public domain/via Wikimedia Commons. Vidwans’s ambition was to bring out the difficulties faced by Anandi in reaching her goal – on the one hand was condemnation from her Hindu neighbours for her aspirations and on the other, demands to convert from the Christian missionaries whom the couple approached to facilitate her passage abroad. Vidwans’s filmmaking credits include the romances Double Seat (2015) and Time Please (2013) and the family drama Mala Kahich Problem Nahi (2017). The subject of Anandi’s life especially resonated with him because of the challenges that women continue to face in getting an equal claim to public and private spaces. Lalit Prabhakar in Anandi Gopal. Courtesy Zee Studios, Fresh Lime Films and Namah Pictures. The art and costume departments also had to piece together other details of that era – the kind of furniture, lighting devices, paintings, clothes and colour palettes that were commonly used at the time. The process took about a year and a half, Vidwans said. Anandi Gopal. Courtesy Zee Studios, Fresh Lime Films and Namah Pictures. Choosing the right actor to play Anandi’s role was another challenge: it needed to be someone who was very young and yet able to express complex emotions. While Vidwans had Lalit Prabhakar in mind for Gopalrao’s role right from the start, it took much longer to finalise the female lead. “For Anandi’s role, we looked a lot, for six to seven months,” he said. “Then I remembered Bhagyashree, whom I had seen in Balak Palak. We called her, did auditions and screen tests and then worked with her for four months before finalising her”.